August 1990: Iraq invaded Kuwait; and then King Fahd met with U.S.V.P. Cheney requesting military assistance. U.S. jets arrived in Saudi Arabia. January 1991: U.S./U.N. Allied forces attacked on the 17th with Apache helicopters. The next day the first Scud missiles hit Israel and U.S. air strikes are launched from Turkey. January 1991: The Gulf War ended the end of February 1991 with Iraqis troops leaving Kuwait City and a cease-fire ordered. About 30,000+ Iraq soldiers were killed and 292 Coalition Allied troops. 1991-1998: UN Resolutions; Iraq weapons inspections for chemical and potential weapons of mass destruction; Sanctions; and media and political pressures. June 1993: US Naval forces launch cruise missiles on Iraq’s Intelligence HQ in Baghdad after a failed assassination attempt on President George Bush (in Kuwait). December 1998: Saddam Hussein ended Iraq’s cooperation with UNSCOM. December 1999: the UN replaced UNSCOM with UNMOVIC. February 2000: Iraq tells the UN weapons inspectors were no longer allowed in Iraq. December 2000: Iraq stops exporting oil to western nations. February 2001: U.S. and British air forces bombed Iraq’s air defenses. September 11, 2001 after Islamic terrorist attacks with four hijacked American planes, nearly 3,000 people were killed in New York City at the Twin Towers of the World Trade Center, in the plane crash in Pennsylvania (meant for the White House) and in Washington D.C. at the Pentagon. November 26, 2001: President Bush: ‘If anybody harbors a terrorist, they’re a terrorist.’ Over the next 16 years trillions would be spent on the Iraq War and the U.S. debt would rise from about $3.6 trillion (November 2001) to about $19.8 trillion (November 2016). The debt cost of the Iraq, Afghanistan and ISIS wars during this time was between $6 trillion and $8 trillion to U.S. taxpayers. In 2003, Camp Bucca, named after a Fire Marshal who died on 9/11, began to take prisoners of war. The camp was expanded at least 5 times, to hold about 24,000 in 2008. In 2004, ISIS emerged from al Qaeda in Iraq (AQI), as an offshoot founded by Abu Musab al Zarqawi. It had a voice, by no real power or significant military due to U.S. attacks in Iraq. In 2006, Zarqawi was killed in a U.S. strike; and December Saddam Hussein executed for crimes against humanity and for ordering thousands of his own citizens killed. In 2007, Muslim cleric/warrior Abu Bakr al Baghdadi was put in Camp Bucca. 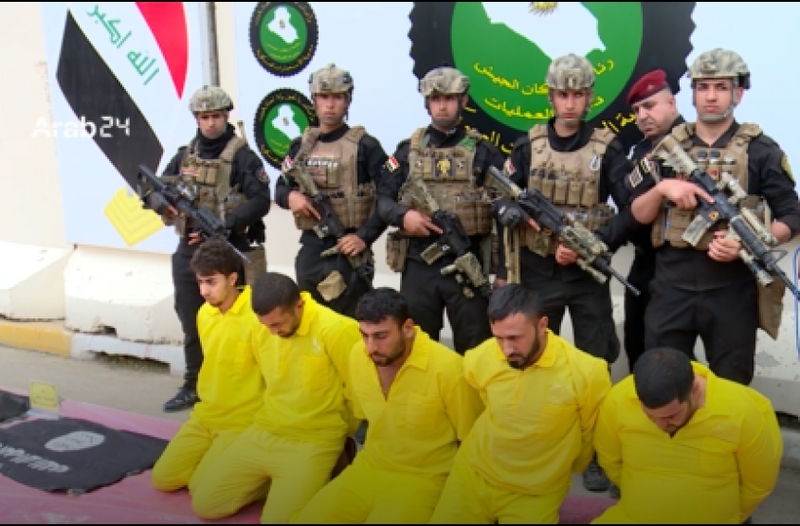 In 2008, approximately 2,400 of the 15,000 ISI (Islamic State of Iraq) militants were killed and 8,800 captured. During 2009 the recruitment of ISI fighters from foreign countries is said to have dropped to about 4% of its previous 120 per month flow. However, about that time after 6 years, US troops withdraw from cities in Iraq; and al-Qaeda increased car and suicide bombings and militant attacks. By 2010, Abu Bakr al Baghdadi was the leader of al-Qaeda in Iraq, which later splintered into the Islamic State of Iraq and al Sham (Syria) or Islamic State of Iraq and the Levant (ISIL/ISIS). In 2011, the US offered a $10 million reward for the ‘terrorist’ Baghdadi. December US troops pull out of Iraq. In 2012, ISI was victorious in eight (8) prison breaks that freed hundreds of there jihadists brothers. During 2013, the death toll of civilians was over 7,100, more than doubled 2012’s 3,238. In February 2014 al-Qaeda separated with ISIS. In part due to ISIS extreme tactics; who has authority; as well as a social media campaign against each other. ISIS spokesmen insulted Zawahri, Osama bin Laden’s successor and head of Al-Qaeda. However, in November militant leaders from ISIS and al-Qaida met in Syria and agreed to work together. By the spring of 2015, US military intelligence estimated that ISIS could have 9,000 to 18,000 fighters. 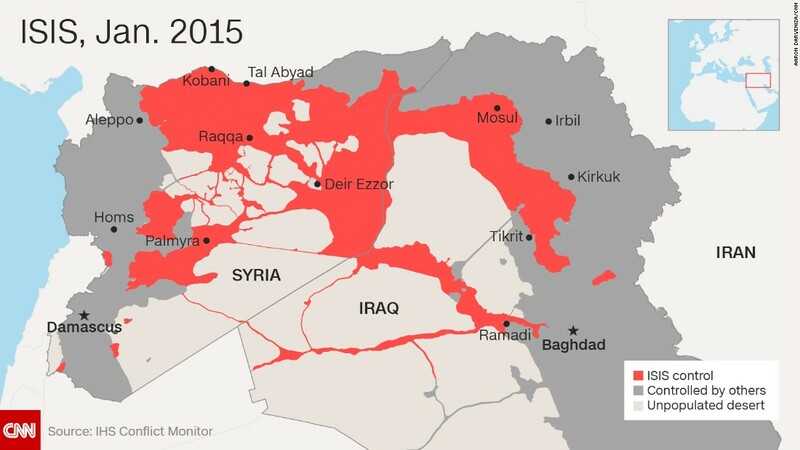 During 2015, ISIS gained such power that more than 10,000 U.S. coalition airstrikes were conducted in Iraq and Syria between September 2014 and September 2016. In 2016, some reports stated that Baghdadi was killed in airstrikes; but they have not been verified; on 12/16/16 the reward on the 1st Emir and Leader of the Islamic State increased to $25 million. January 2017, the day before Obama left office, B-2 bombers attacked ISIS Camps in Libya. President Donald Trump vowed to destroy ISIS. However, ISIS’ influence has and is spreading into most Muslim countries where radical Muslims accept their vision and tactics. Since it caliphate was declared June 2014, ISIS or the Islamic State has committed or inspired over 150 significant terrorist attacks in 30 countries besides Iraq and Syria. Thousands have been killed and thousands permanently wounded or disabled. November 13, 2015 in Paris, one of the worst claimed the lives of over 130 people. At least 32 were killed in Brussels March 22, 2016. July 14, 2016 in Nice, 84 were killed as a French-Tunisian Islamic terrorist drove through crowds celebrating France’s National Day. Obama’s Secretary of State John Kerry said soon after there was ‘no indication… ISIS’ conducted the attack; yet, French sources showed it was inspired by ISIS. Just nine days later in Kabul, Afghanistan more than 80 people were killed and 260 wounded by ISIS bombs. It is impossible to calculate the level of hatred in people, or number of young influenced individuals willing die even by suicide in order to carry out attacks on their swore enemy. However, we can discover sources of influence on most of those individuals and future and potential terrorists. Among the influences on radical Islamists is Inspire Magazine. The online magazine is published by al-Qaeda and available to nearly anyone with internet capability. The first issue was in June 2010 and offered translated messages from Osama bin Laden. As early as the second issue, Inspire was encouraging and calling for attacks on U.S. soil. The article, ‘the Ultimate Mowing Machine’ suggested that followers ‘mow down’ Americans with trucks; note the 2014 method used in the Nice attack. In the October 2010 issue by Samir Khan, he stated, ‘I am proud to be a traitor to America;’ a year later he was killed in a drone strike in Yemen. The online magazine is produced by Al-Malahem Media, part of al-Qaeda in the Arabian Peninsula (AQAP). They also put out ‘Inspire Guide,’ a print magazine in Arabic and English which also feature operations or attacks that have occurred. Among its articles that appeared in Inspire Issue 16 are ‘the Successful Pressure Cooker Bomb,’ and ‘A Message to our Muslim Brothers in America.’ Other issues have feature such bombs; nevertheless, in September 2016, days before this Issue 16, two pressure cooker bombs were placed in a Chelsea Manhattan neighborhood; one injuring 29 people and the other founded and disarmed. 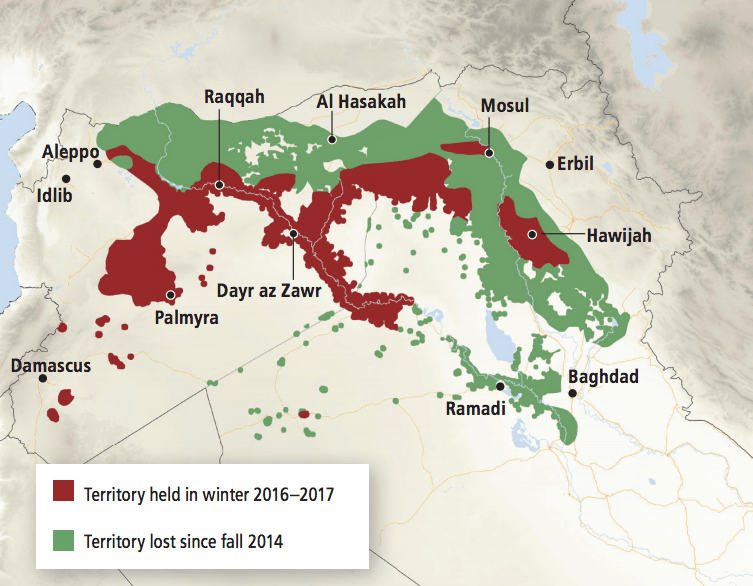 The Trump administration’s strategy seems to be working as for as destroying the Islamic State’s hopes of having a land of its own. The religious war of hate will never end; but the power of ISIS’ mass armies may.